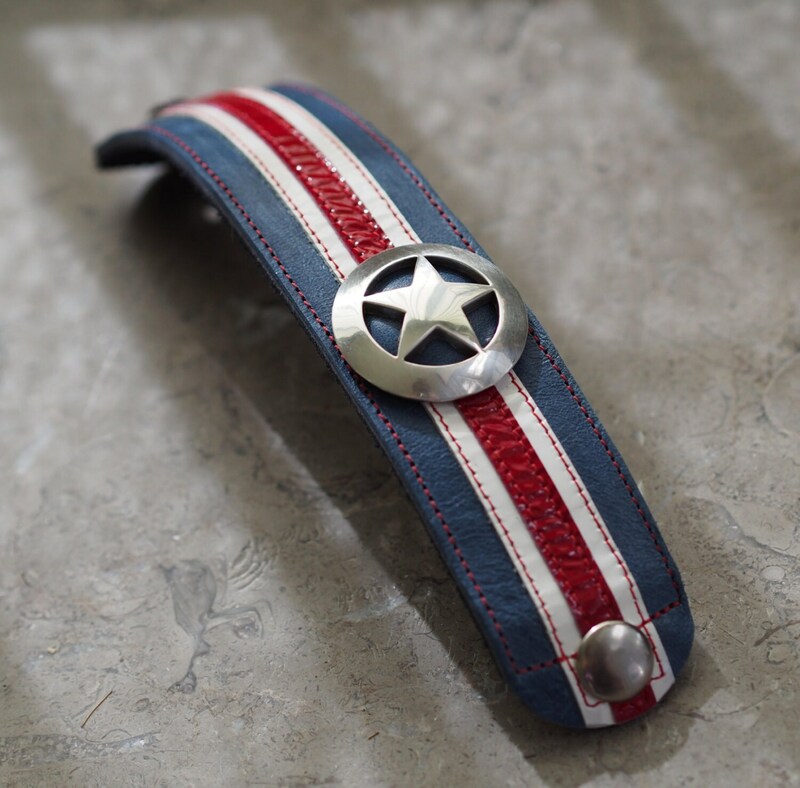 Leather wrist strap inspired by the great Captain America. 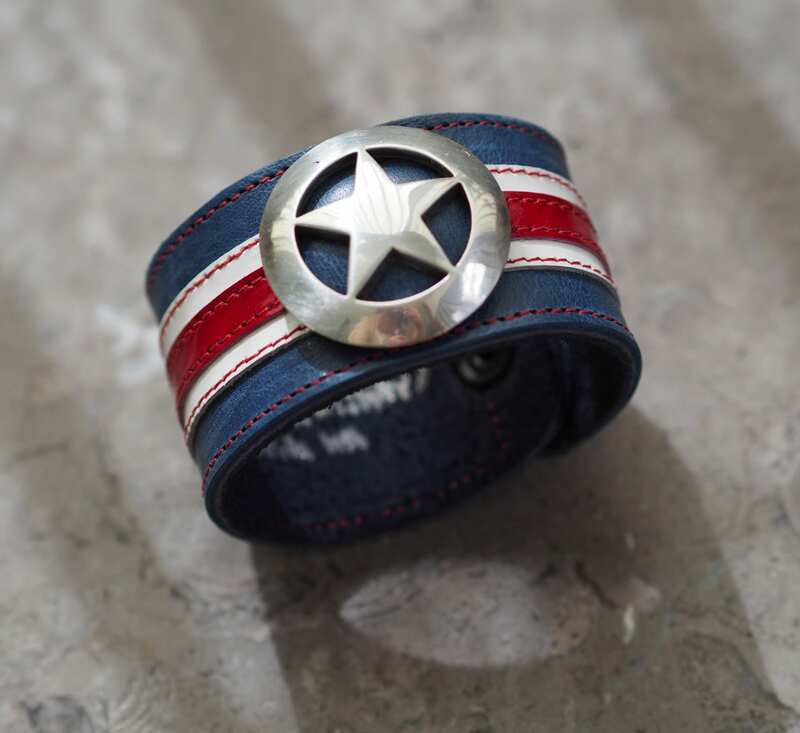 Bands of red, white & blue leather are applied to a thicker cowhide for strength & durability, worthy of any superhero. Each stripe is glued and stitched in place with red thread for contrast. A large nickel-silver concho is backed with the same blue leather as the primary stripes. The screw back for the concho has a piece of soft lambskin glued over it, to prevent chafing against the skin, or unintentional loosening. 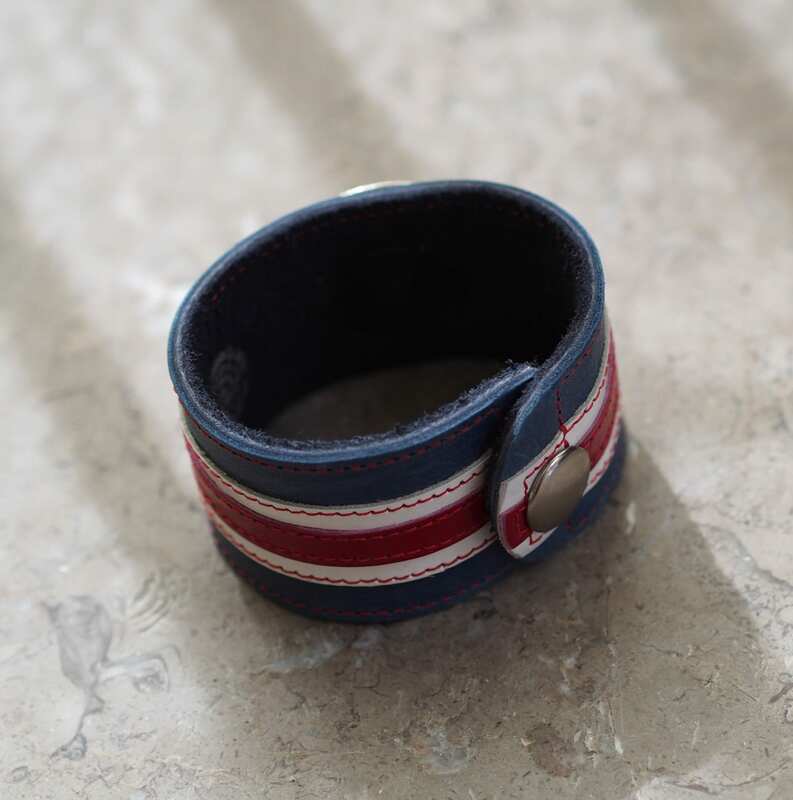 The version pictured is made with patent lambskin for the 5/16" wide red stripe, patent pigskin leather for the 3/4" wide white stripe, glazed blue lambskin to fill out the ~1 1/2" wide stripe and within the concho, and on a firm cowhide for the base (dark blue in this photo). But please note that due to leather availability, the blue may be a slightly different shade of buffalo leather, and the white may be a glossy kidskin. Total thickness of the strap is just over 1/8" for the leather, and the concho is about 5/16" high at the center of its dome, and just under 1 1/2" diameter. 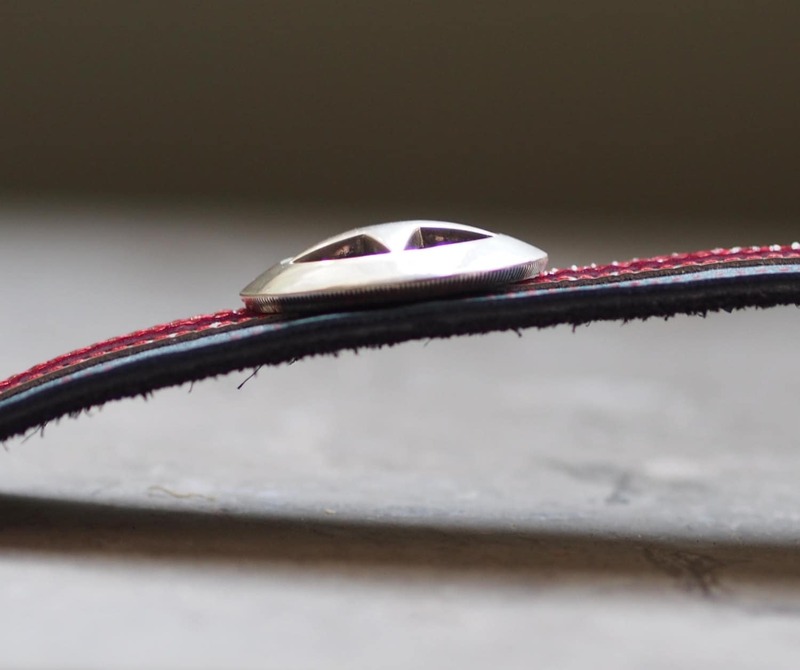 The strap closes with a strong dura-dot snap, which has an antiqued silver finish, similar to the concho. 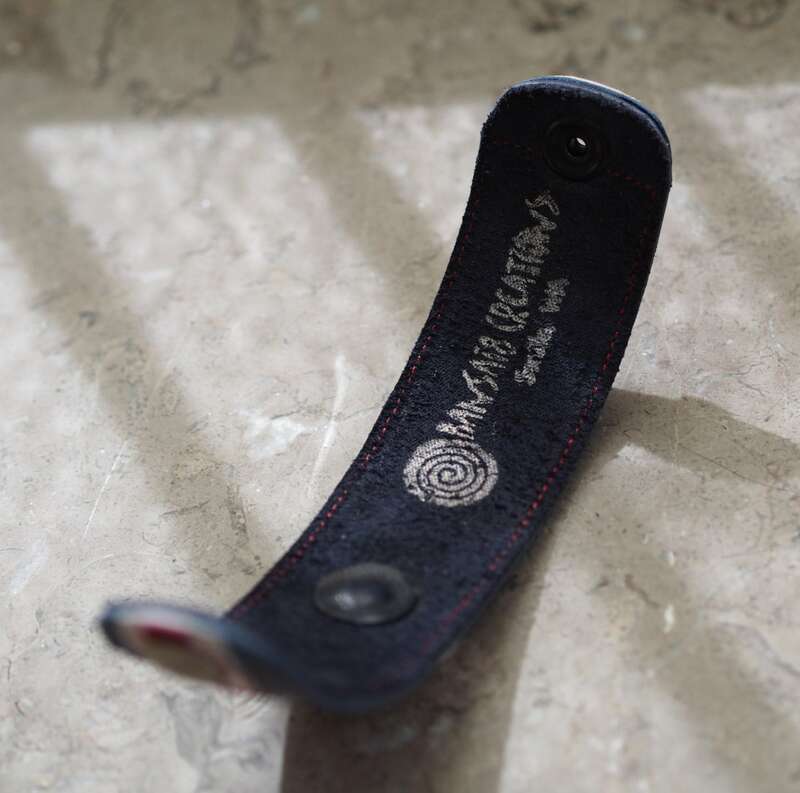 The strap is best suited for any wrist size greater than 5 1/2". When ordering, please select the size based on actual wrist size. The bracelet will have about 5/8" or so "ease" added for comfort. If you don't see your size, please convo me! I can also glue leather over the section of the snap that is on the underside of the strap, if you have any sensitivities to metals. I absolutely love this bracelet! It came days before the estimated said and it fits perfectly! It even looks great with everything I wear! Love my new bracelet! Thanks so much! I really love this wrist cuff. A perfect gift! Recipient loved it. I ABSOLUTELY LOVE THIS WRIST CUFF. It's large enough that I can layer the bracelets on my opposite wrist and their widths match, which is exactly what I was going for. I feel so powerful wearing it everyday, thank you.